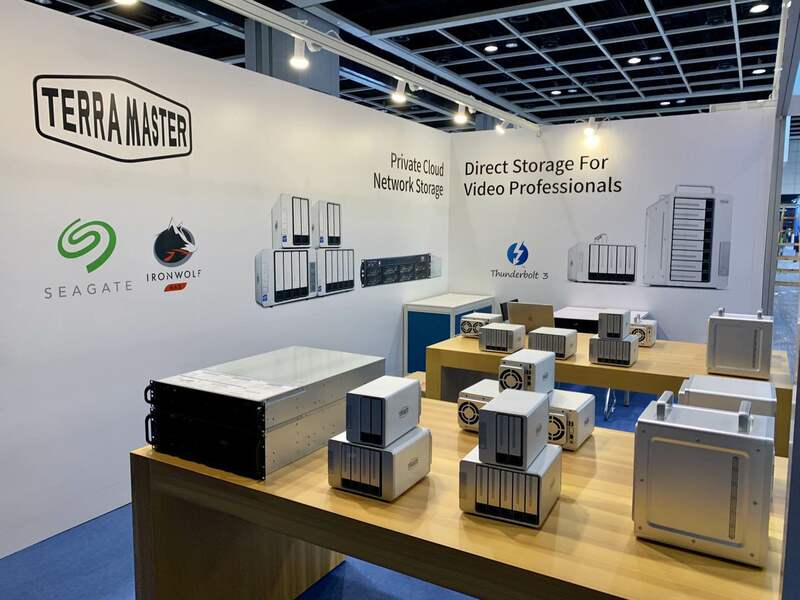 Held from 13-16 April 2019, the Hong Kong Electronics Fair featured over 3,500 exhibitors from around the world, offering a top-tier sourcing experience as the brightest electronics companies redefined the global market.TerraMaster waswell-received by the fair’s visitorswith its new NAS and Thunderbolt™ 3 product lines, which provide powerful hardware configurations, high-qualitysoftware features, and excellent all-round performance. The exhibition was dynamic and vibrant, with a continual influx of visitors. The opening day saw numerous customers who expressed a keen interest in NAS, and the team responded to their enquiries in a manner which demonstrated professionalism and knowledge. Over the ensuing days, participation in the exhibition progressed efficiently. Many visitors expressed their admiration for our accompany and were enthusiastic about the possibility of acting as potential agents. Customers of many nationalities requested our business cards. Overall, the scene at the exhibition was enlivening and motivating. 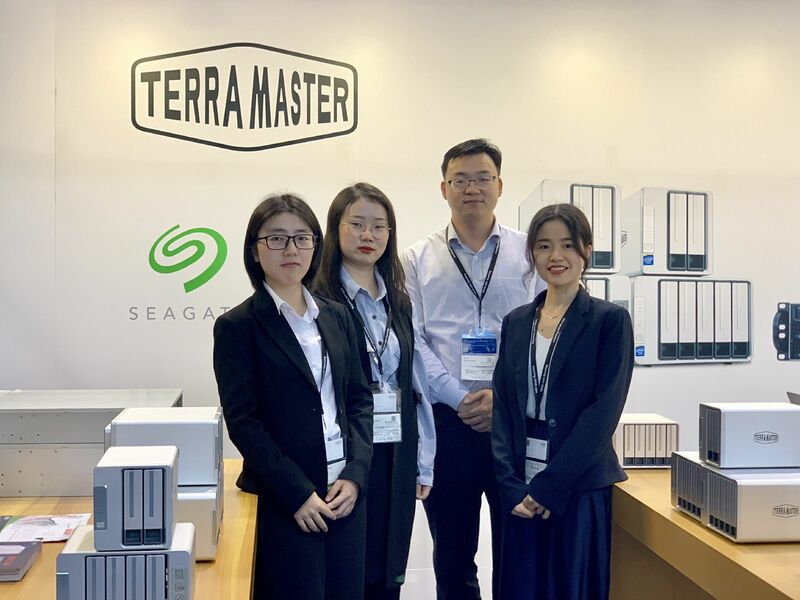 TerraMaster joined hands with Seagate at the 2019 Hong Kong Electronics Fair, one of the important partners TerraMaster has recently been forming a deep relationship with. 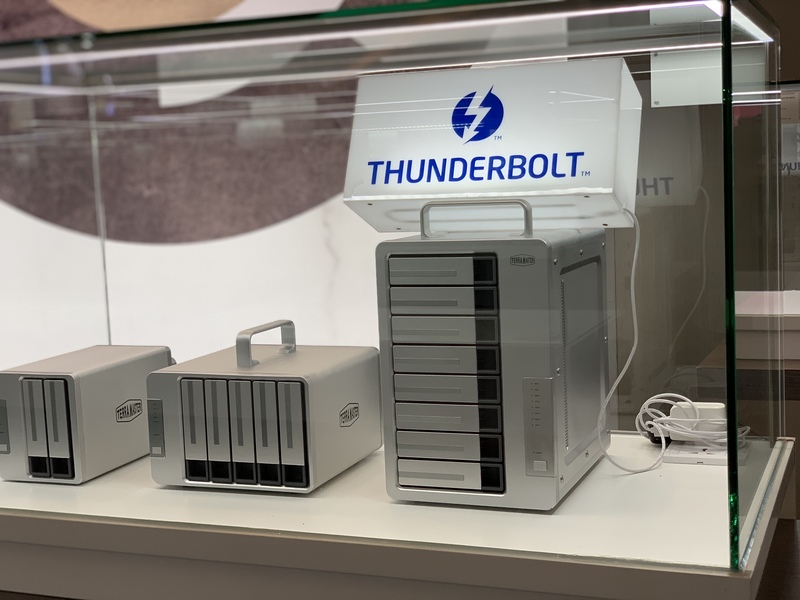 The exhibition’sfocus on Seagate’s Iron Wolf, designed for the NAS environment, highlighted the way this impressive device can increase the responsivity of connections between devices. 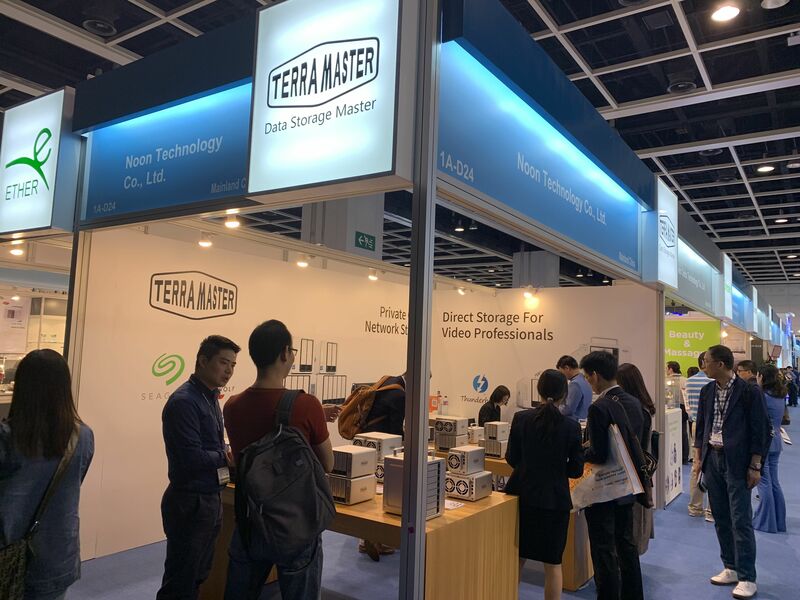 Throughout the exhibition, TerraMaster’steam actively and enthusiastically displayed its products to the fair’s visitors, winning the praise of customers. 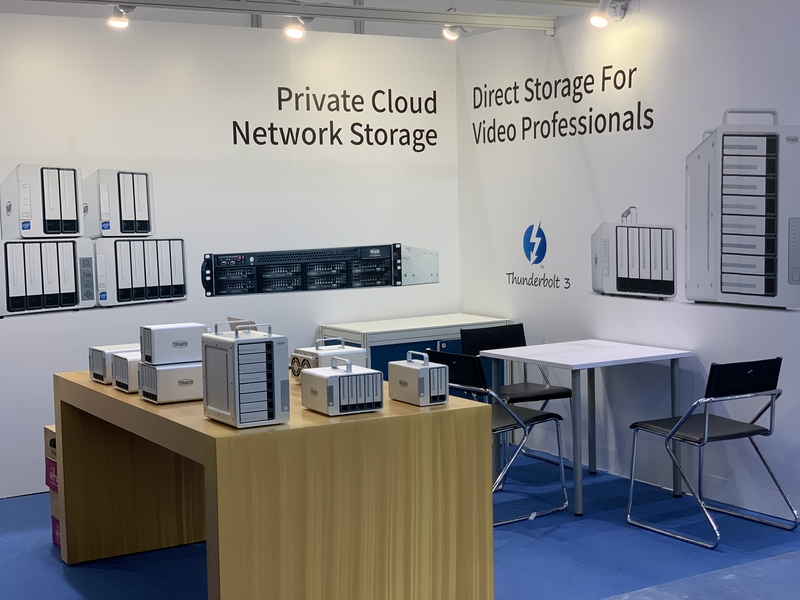 As a representative of the Thunderbolt hardware interface family, TerraMaster's new D2 Thunderbolt 3 was especially popular at the exhibition. 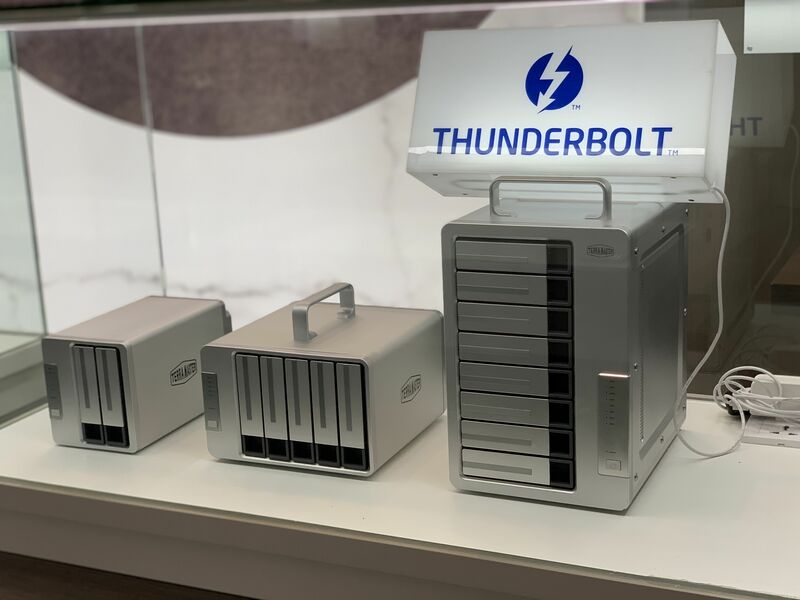 This device houses a dual Thunderbolt 3 40-Gbps port and a hardware RAID controller. Owing to its 28-TB storage capacity, the D2 Thunderbolt 3 can hold a massive 2 million high-definition photos or 80 hours of 4K video. The device also comes with a portable handle for convenient video-taking, copying, and demo creation. 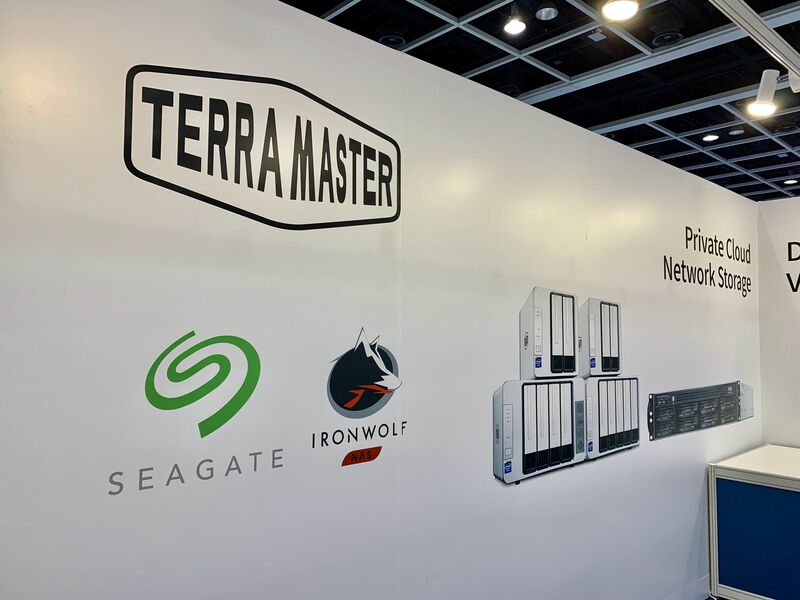 Many visitors at the 2019 Hong Kong Electronics Fair were attracted by TerraMaster’s eagerly-anticipated 10-Gigabit network NAS F5-422. This devicesupports SATA 6Gb/s drives, and it provides high-bandwidth connectivity for tackling heavy workloads and smoothly transferring, displaying, and editing 4K videos in real-time. To deliver high performance and maintain the security of your data, the F5-422 also features AES-NI encryption. TerraMaster’srack-mounted NAS series alsodrew a sizeable crowd during the 2019 Hong Kong Electronics Fair. This is partly because TerraMaster recently launched the most powerful Intel Xeon E3 rack-mounted NAS series in its history.The storage capacity of this rack-mounted NAS series reaches up to 24 bays, including 1U-4BAY, 2U-8BAY, 3U-12BAY, 4U-16BAY, and more. The functional configurations and features are ideally suited to meet the requirements of SMEs. TerraMaster’s new TOS 4.0 software adds 10 striking and substantial new features to the much-loved previous version. These improvements and benefits range from visualisation and access control to cloud synchronisation and data clustering. The updates were driven by TerraMaster’s desire to address the diverse requirements of both individual users and enterprise-level users. Users should also note that a vast collection offree software programs are available for download at the TOS application centre. As a result, TerraMaster’s customers can benefit from a TNAS with infinite possibilities. 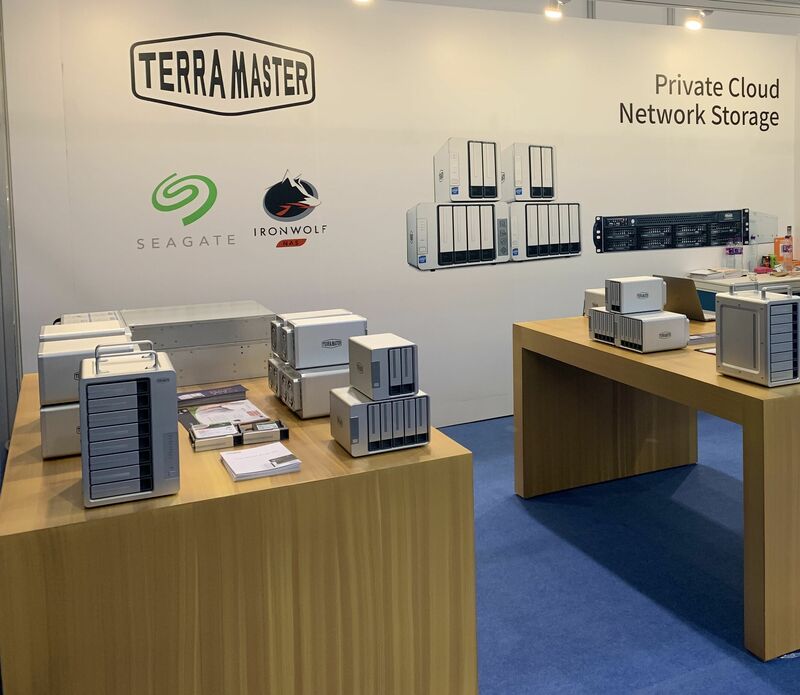 To enhance the global brand awareness of TerraMaster, display stands were sited in prominentlocations in proximity to the exhibition entranceway, with the company’s new NAS and Thunderbolt series products on the display counter. Displays stands were organised in a visually appealing manner. Throughout the exhibition the stand attracted large numbers of visitors and resulted in a successful event for the company. The exhibition attracted TerraMaster customers from all over the world. From the first day of the exhibition to the end of the fourth day, a continuous flow of visitors attended the exhibition. This exhibition was finished perfectly. 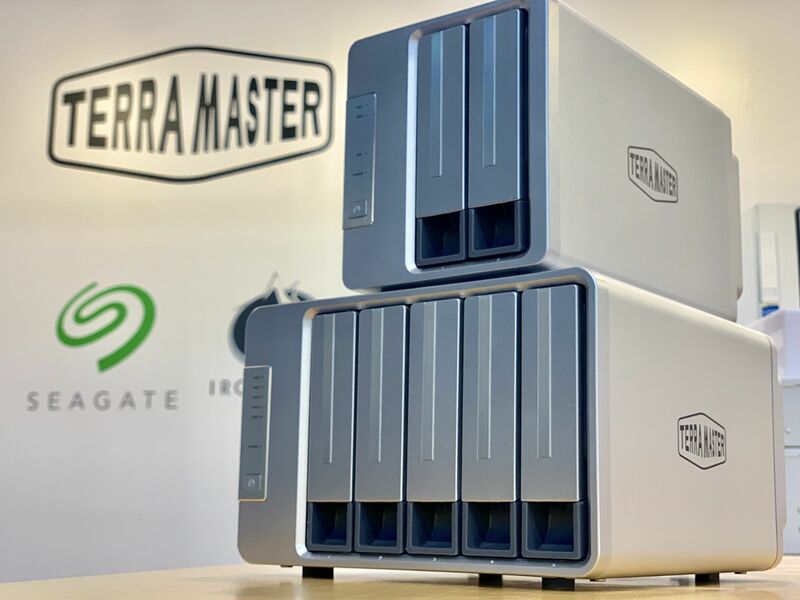 As a leader and specialist in private cloud storage, TerraMaster has delivered innovative storage solutions to thousands of customers around the world. Motivated by our commitment to support and satisfy both individual and enterprise-level users, we anticipate and optimistically look forward to a greater number of customers coming to understand our products in the future. 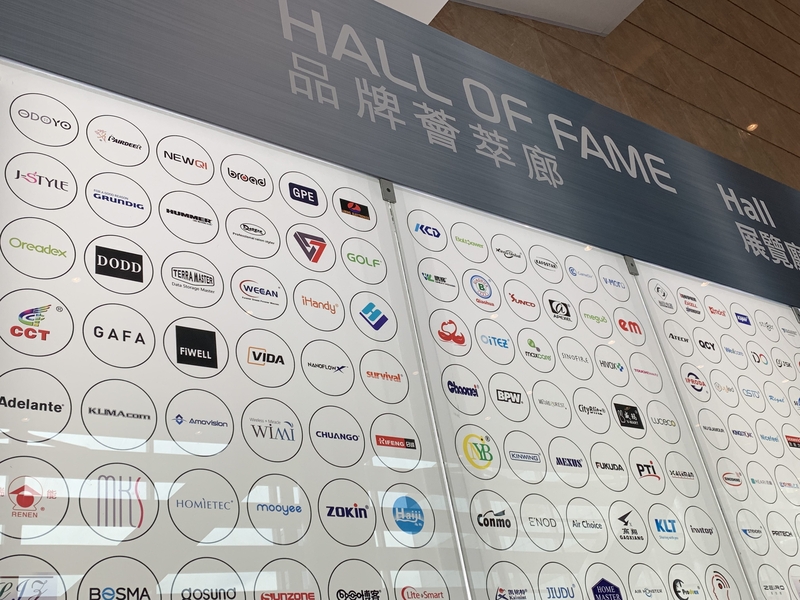 All in all, the 2019 Hong Kong Electronics Fair was a fantastic chance to expose our offerings on the global stage, and to allow potential customers to interact with the latest devices in our sleek, powerful product lines. 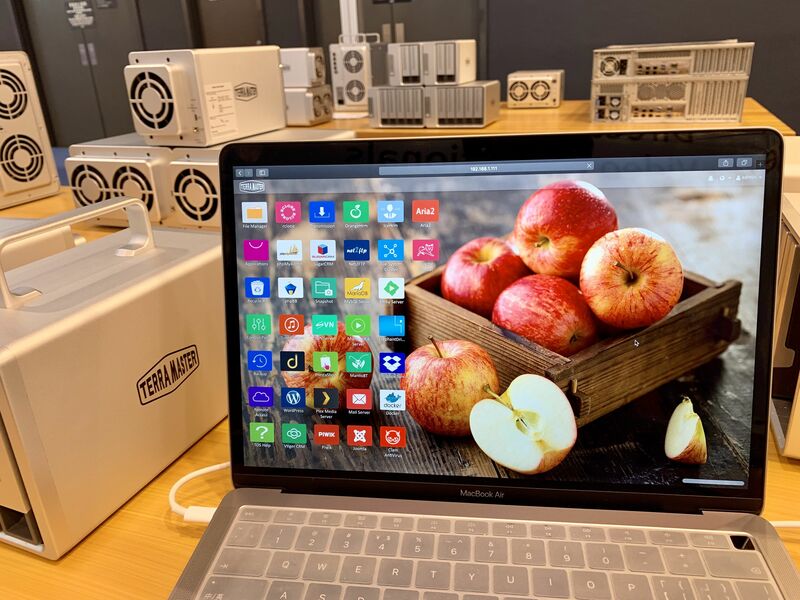 Held from 13-16 April 2019,the Hong Kong Electronics Fair featured over 3,500 exhibitors from around the world, offering a top-tier sourcing experience as the brightest electronics companies redefined the global market.TerraMaster waswell-received by the fair’s visitorswith its new NAS and Thunderbolt™ 3 product lines, which provide powerful hardware configurations, high-qualitysoftware features, and excellent all-round performance. 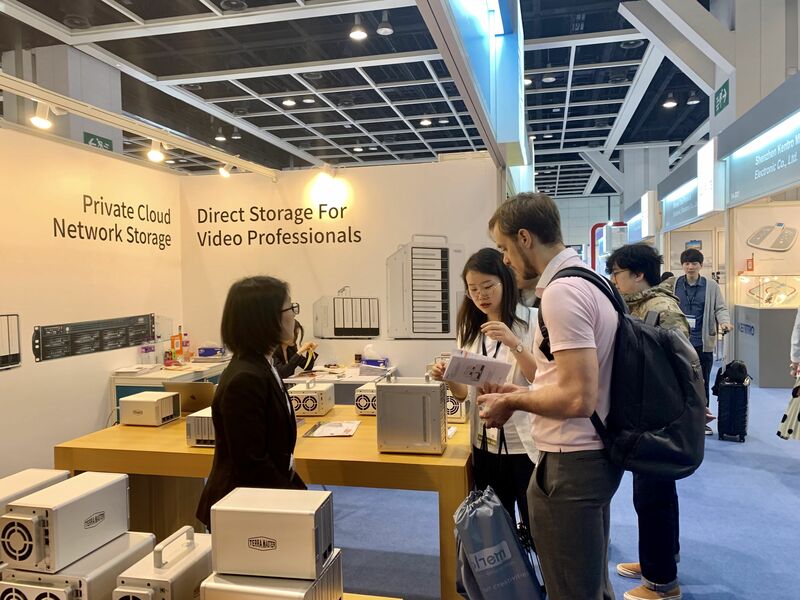 Throughoutthe exhibition, TerraMaster’steam actively and enthusiastically displayed its products to the fair’s visitors, winning the praise of customers. 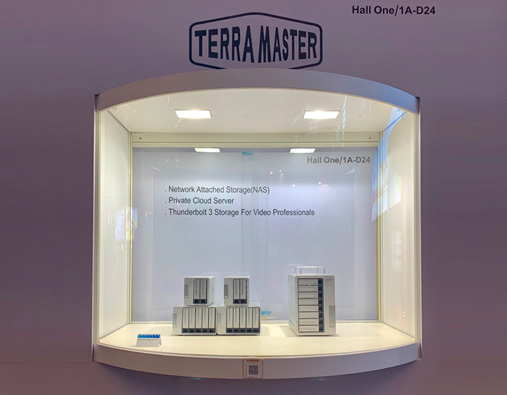 As a representative of the Thunderbolt hardware interface family, TerraMaster's new D2 Thunderbolt 3 was especially popular at the exhibition. 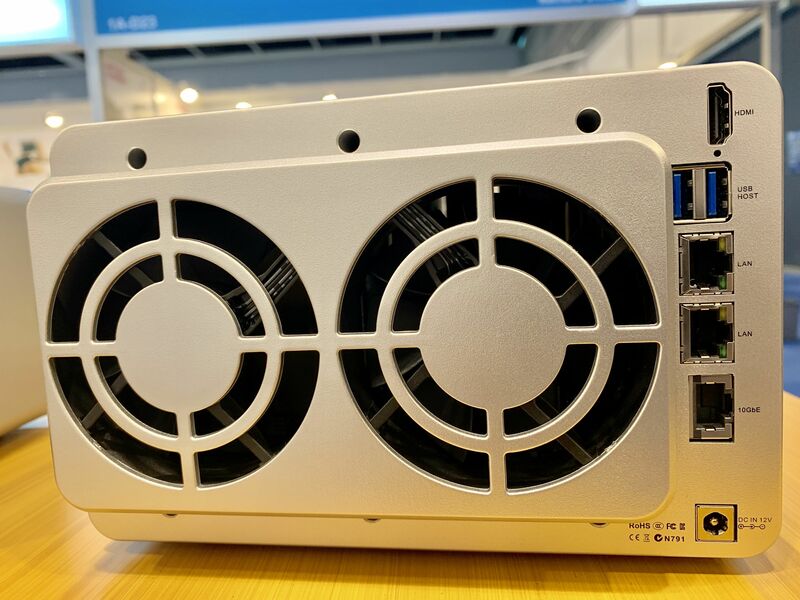 This device houses a dual Thunderbolt 3 40-Gbps port and a hardware RAID controller. Owing to its 28-TB storage capacity, the D2 Thunderbolt 3 can hold a massive 2 million high-definition photos or 80 hours of 4K video. The device also comes with a portable handle for convenient video-taking, copying, and demo creation.